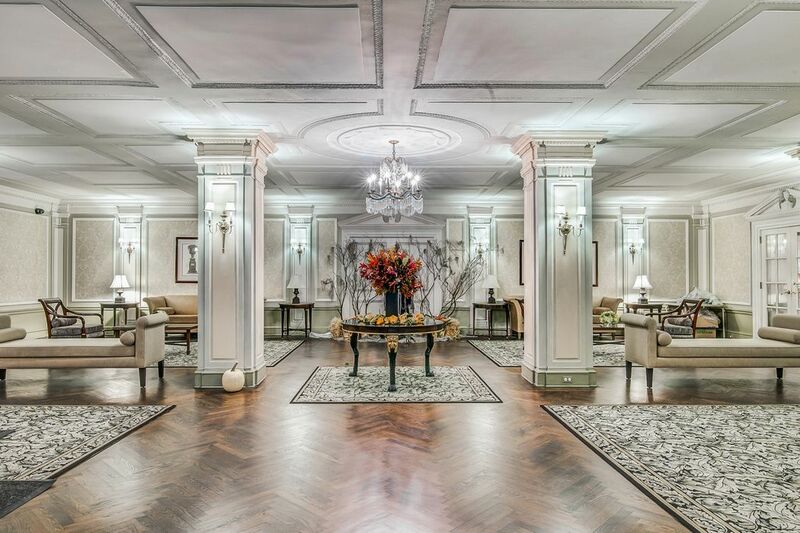 225 Central Park West 1410, New York, NY 10024 | Sotheby's International Realty, Inc. 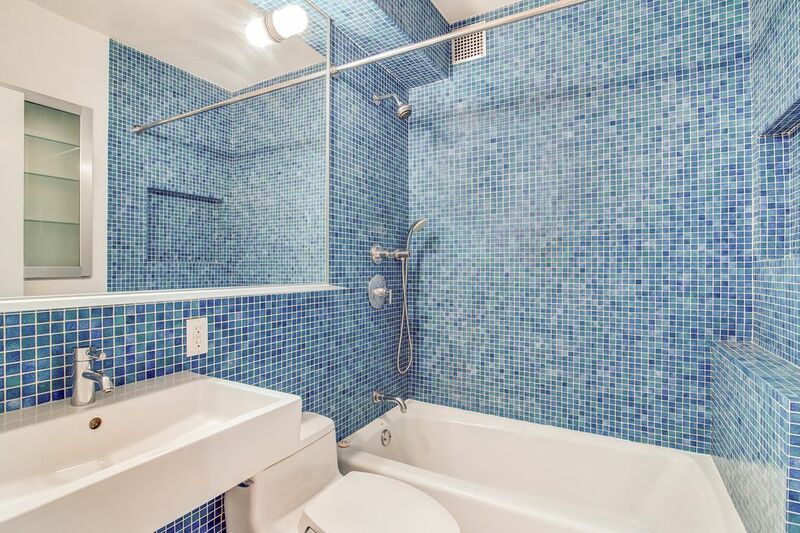 This renovated, sunny one bedroom on Central Park West has hardwood floors, 9-ft beamed ceilings, open kitchen, home office and walk-in closet. 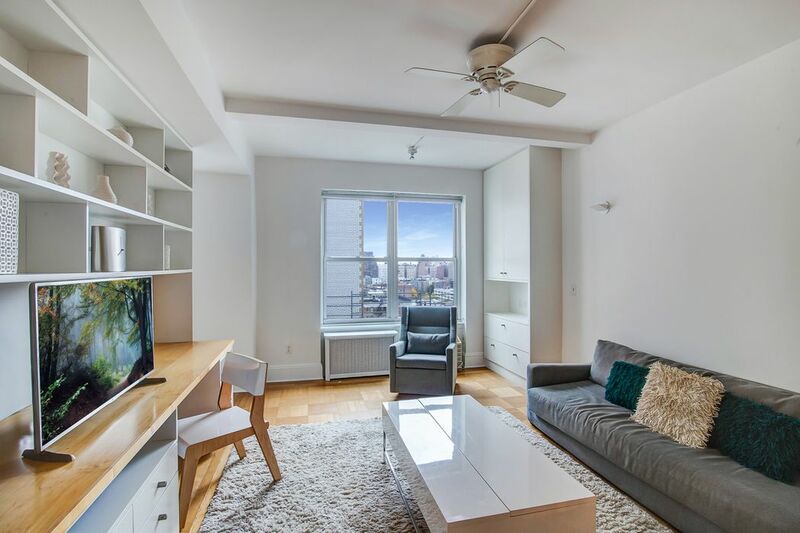 West-facing with open city views, the sunny living room features a custom-built desk with bookcase shelving to the ceiling and large windows. 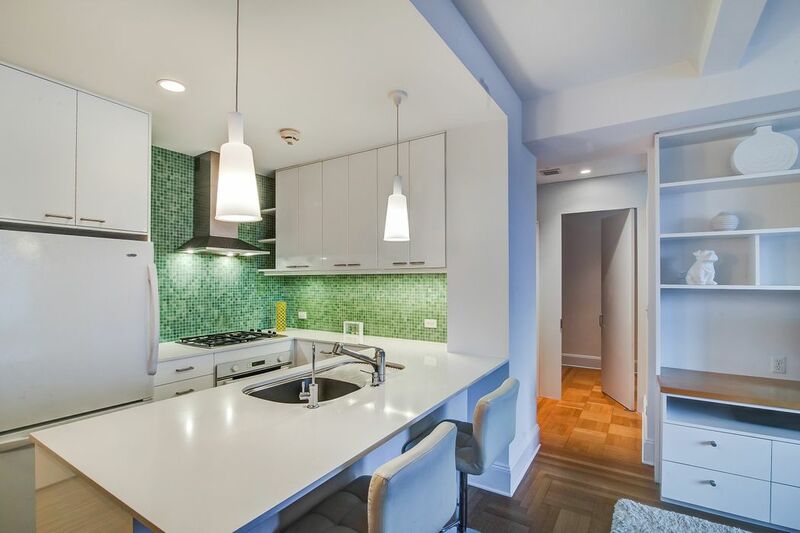 The cooks’ kitchen with “eat-at” counter is fully updated with Bosch appliances and vented hood, granite countertops, custom cabinetry, tile accents and task lighting. 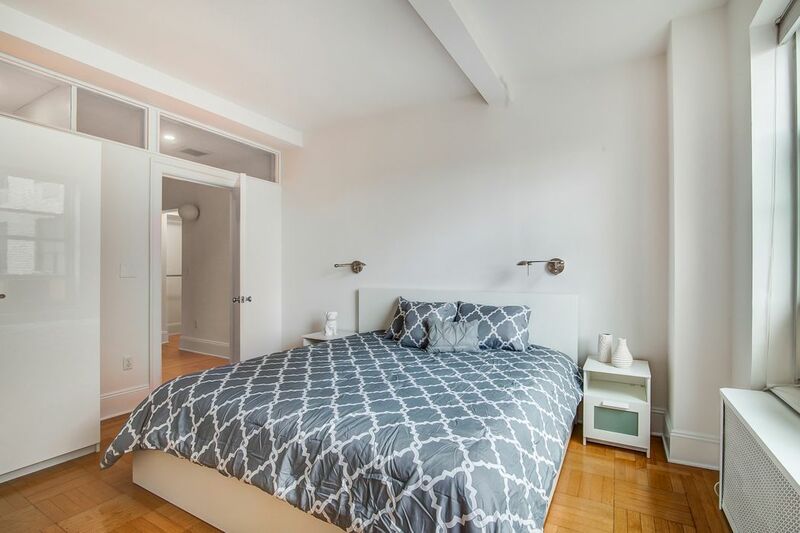 The bedroom is spacious enough to accommodate a king size bed. 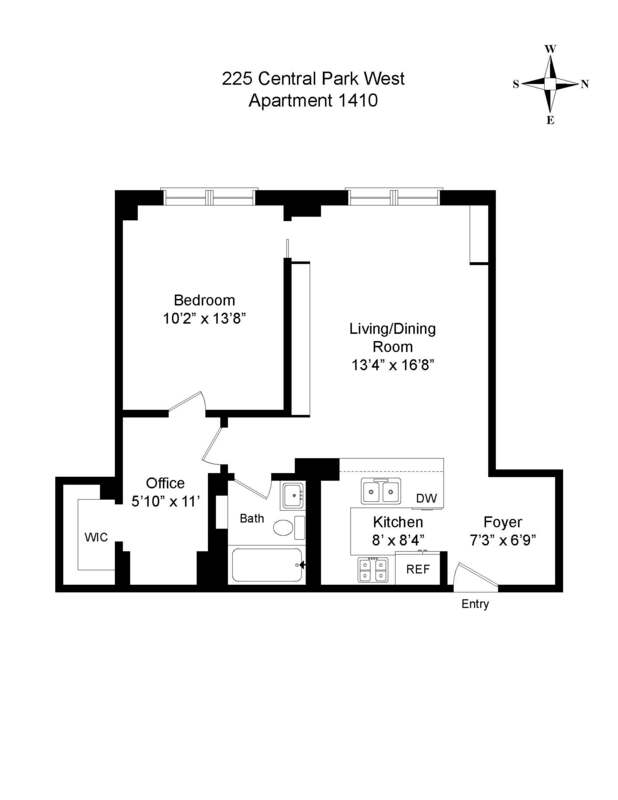 Washer/dryer may be installed with co-op board approval. 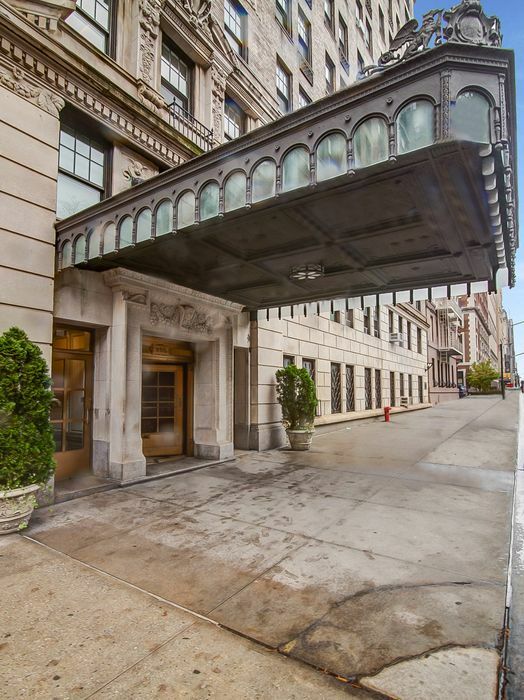 The Alden is a landmarked pre-war, full service co-op with a grand lobby and renovated hallways. 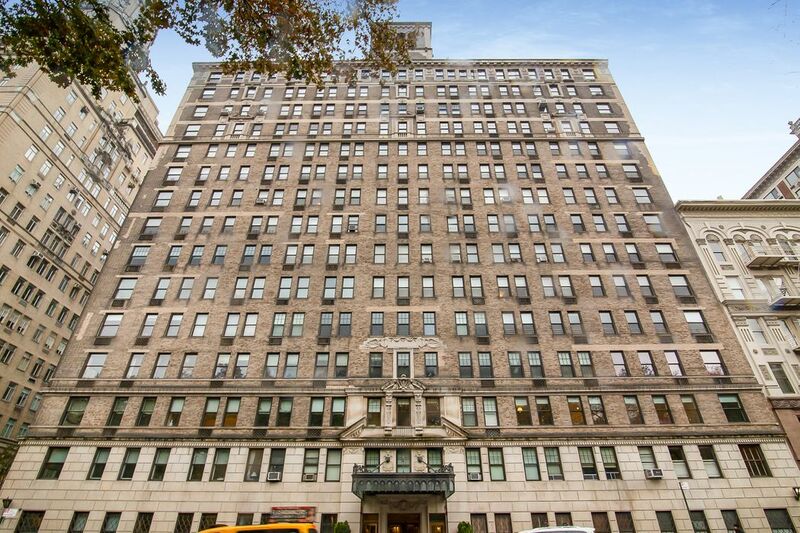 This pet-friendly building was designed by the renowned architect Emery Roth, and has 24/7 doorman, concierge, five elevators, bicycle and storage rooms, a spacious laundry room, attached parking garage and one of the City’s finest landscaped and furnished roof decks with panoramic views of both Central Park and the Jacqueline Kennedy Onassis Reservoir. 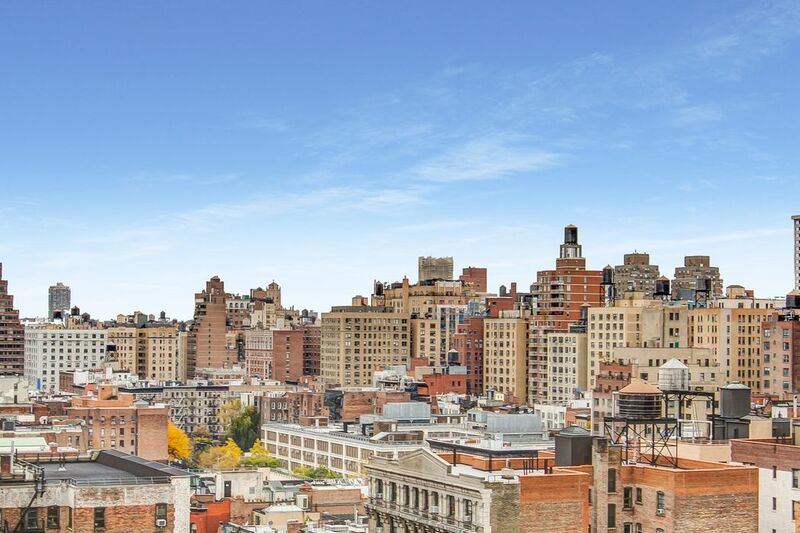 Conveniently situated on Central Park West at 82nd Street, near shopping and restaurants, just one block north of the Museum of Natural History, the 79th Street B/C subway, cross-town bus stop and Citi Bike. Pieds-a-terre permitted case by case. No guarantors. Maximum financing allowed: 60%. No flip tax.